University’s President as A Member in The Consultancy Committee for The Seventh International Conference for Quality Assurance and Academic Credence in AL Kufa University. 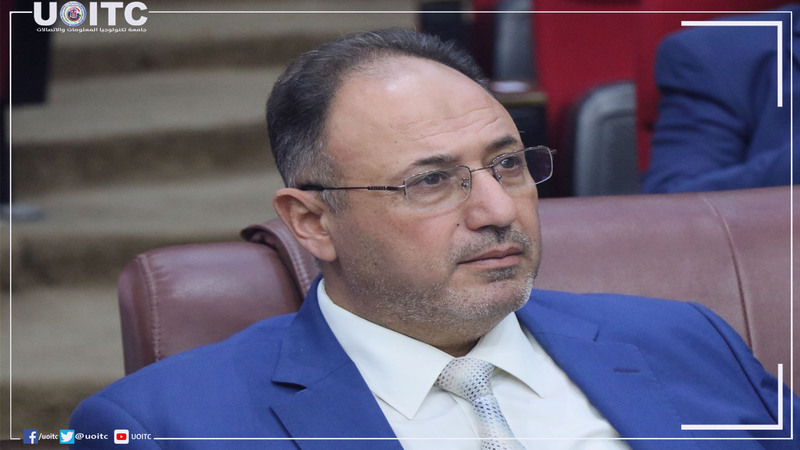 Prof. Dr. Abbas M. Al-Bakry, Presedent of UoITC, has participated as a member in the Consultancy Committee for the Seventh International Conference for Quality Assurance and Academic Credence in AL Kufa University. Al Bakry was chosen along with a number of authorities in the ministry and presidents of some Iraq Universities to form the consultancy committee for the conference organized by Al Kufa University, which is a part of their guidance towards spreading the culture of quality and consistency in education, and takes place on the Main Hall in College of Primary Education for 27-28 of March 2019. The conference aims for introducing the concept of Academic Governing and their relation to Education, under the slogan of “Academic Governing : Path toward Education Quality”, and to diagnose challenges against application of governing and quality of higher education and scientific research. The conference also discusses exchange of experiences in quality and creditability, how Iraqi universities can reach higher rating internationally, methods for moving toward university independency, and vision for the future of higher education within all quality and governing changes. The conference’s main topics were: Universities Independency, motives and experiences, freedom and integrity in academic foundations and how to evolve scientific research along with quality of education, strategic planning for quality of education, private education governing, education governing under local and international specification, and the future of education within academic governing.